Here’s a quiz for you — name a Middle East developer with hotel projects in Switzerland, a boutique resort in Montenegro, one in Oman and another at Ras Al Khaimah? And who is also building a city-within-a-city on the Red Sea shores? Chances are that the name “Orascom Development Holding” wouldn’t be your immediate answer. For Khaled Bichara, CEO, the mandate is about changing perceptions as it about getting the desired results. By the looks of it, he seems to be getting there. And without putting on a show and dance about it. Orascom, which is the name behind The Cove resort in Ras Al Khaimah, does take its time in getting from Point A to Z. Three-year time frames is not what it does. El Gouna, its flagship project on the Red Sea in Egypt, will be completed to the final detail over decades. 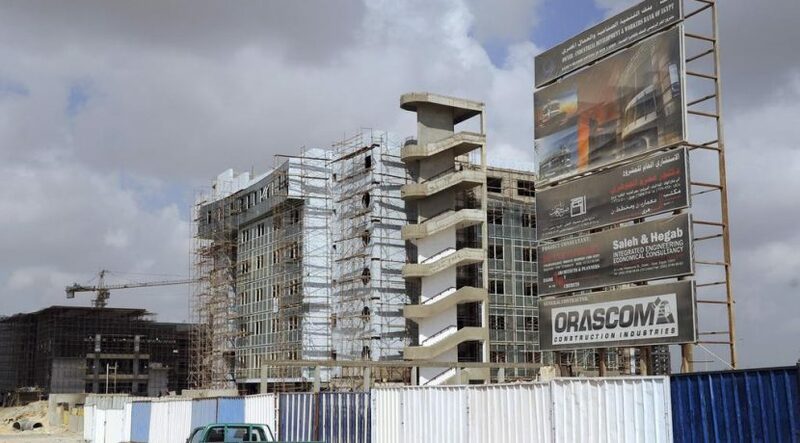 Not too surprising when Orascom’s mandate is to create a fully self sustained “town”, with 17 hotels, two 18-hole golf courses, and even a landing strip. “As of now, 20,000 people live there all-year round and we even have a football team in the Egyptian Premier League,” the CEO said. “Because we do things over 15-, 20- and 30 years, we don’t jump into new launches every day,” said Bichara. “In Switzerland, what we are doing is to prove to the Middle East and the world that we can build and compete to the highest level. Our property has won the title of the best hotel in the country for the last two years. The restaurant is Michelin starred since last year. Yet, this project is only at the halfway stage — a second hotel will open next summer. In our master plan, we have plans for four more hotels. But are the Orascom financials matching up? Or because of the longer term nature of the projects, will the numbers take time to realise their potential? In fact, Bichara was brought in two years ago to turn the company around. “The first order of business was to ensure the assets we had were healthy before we took on new projects,” the CEO said. “We announced a new strategy in mid-2016 and been delivering on that since. Two years into the job, we are much stronger financially. The positioning we have is to create full-scale “towns” around the world. What we have in Ras Al Khaimah is the smallest project in our portfolio. “The El Gouna is the model of what we can build anywhere. It’s been 29 years in development; there’s 36 million square metres out of which we have built 14.